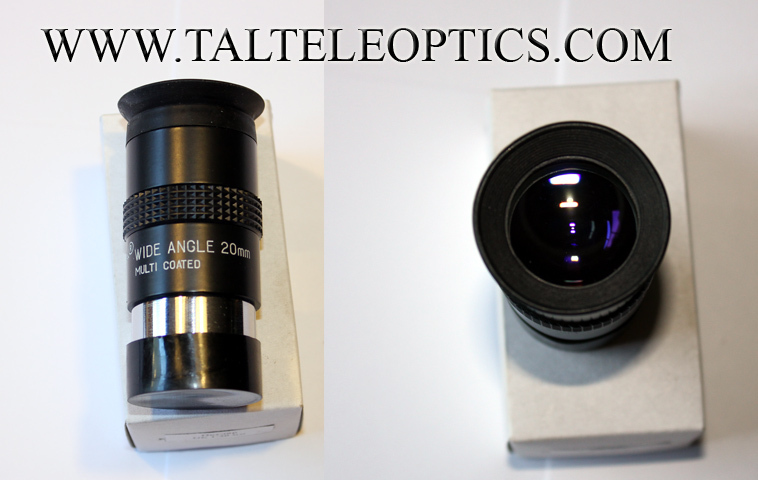 1.25" TAL Symmetrical Eyepieces 45 Degrees FOV are made of 4 elements, are Par focal, and come with a soft rubber eyecup and bottom cap. 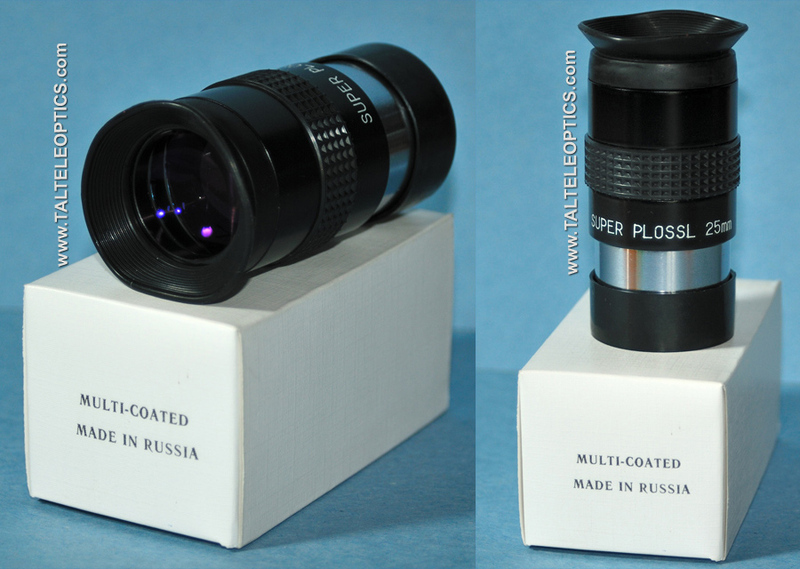 They are considered one of the best available for their excellent optical performance. 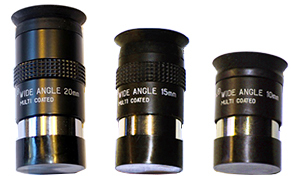 All Eyepieces are well corrected against aberration within FOV, all optical elements are multicoated. 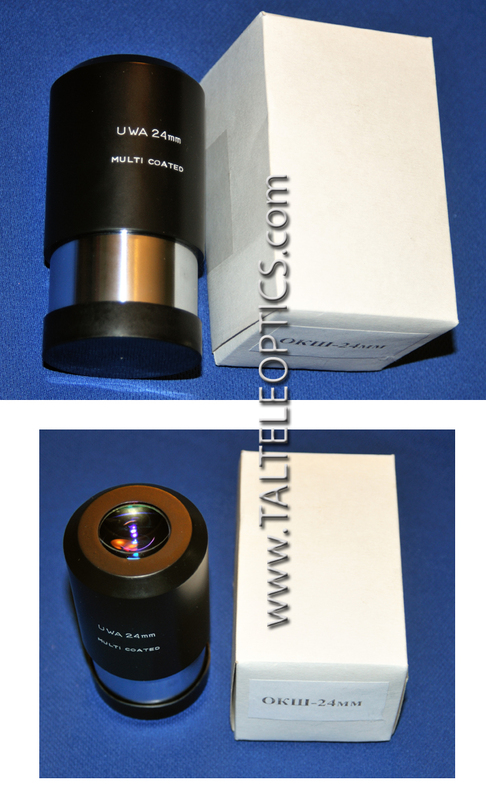 Multicoated elements reduce reflection to 0.8% within 440-680nm light spectrum. 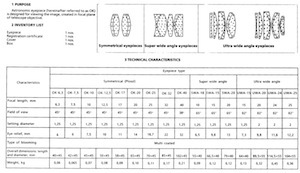 For Eye relieve information see Specifications. 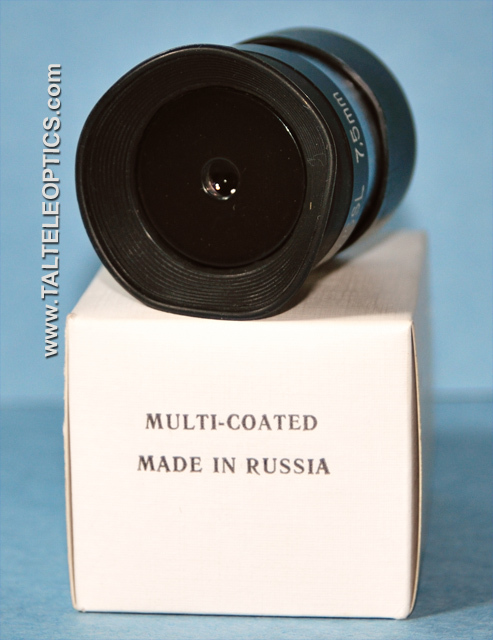 Shipping within continental USA is included in single eyepiece price. 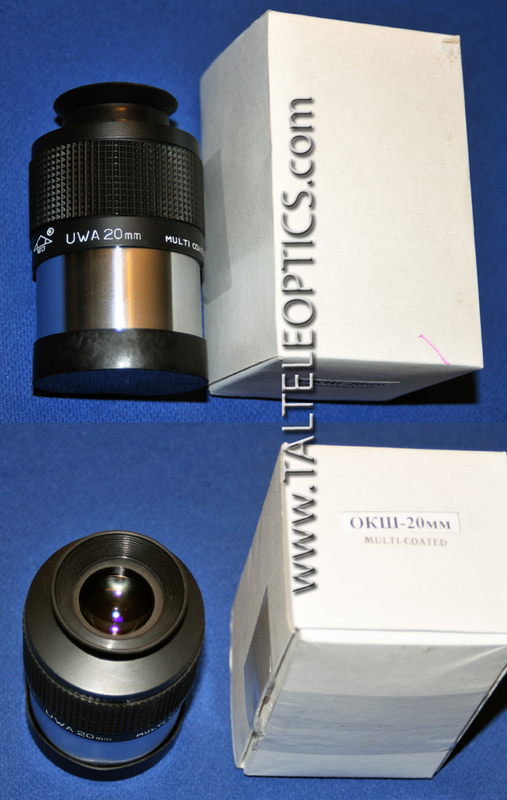 Multiple purchase discounts are available. 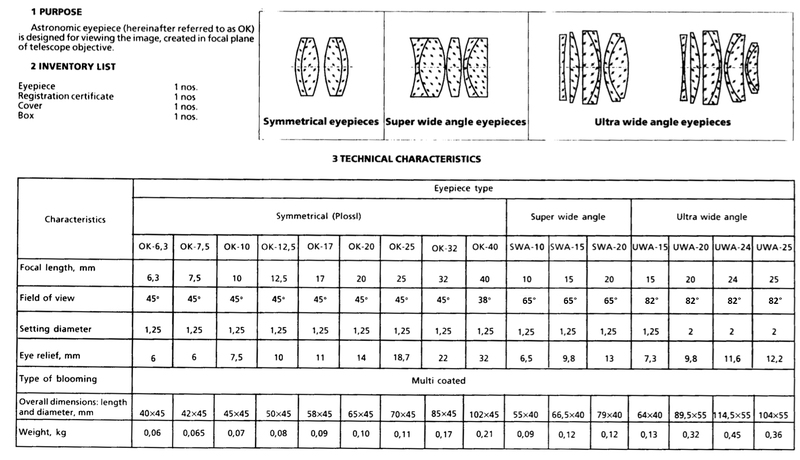 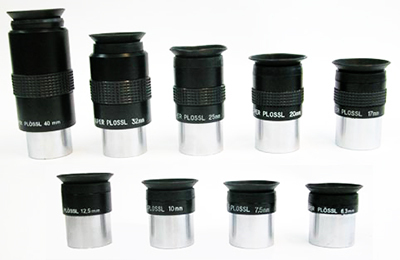 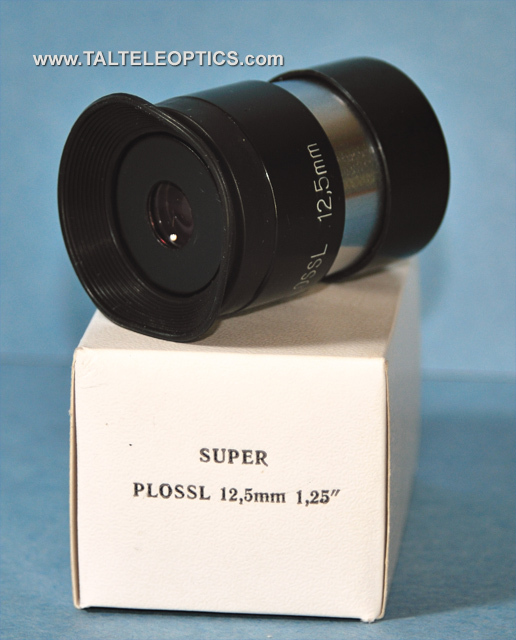 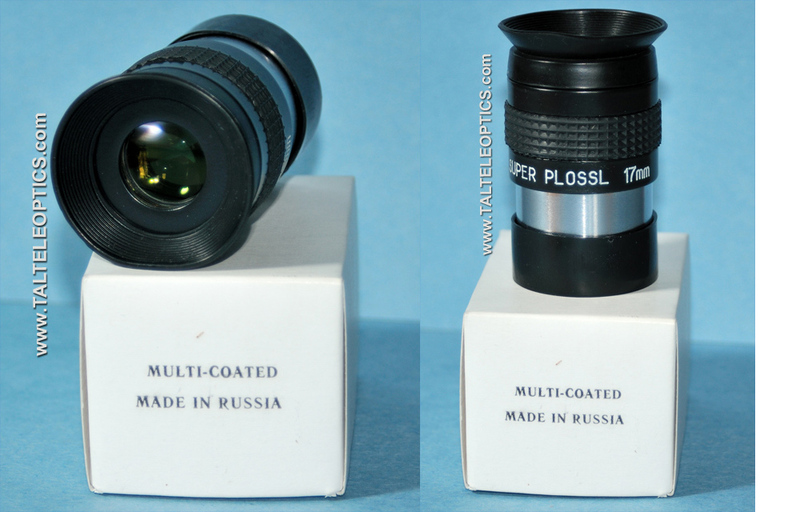 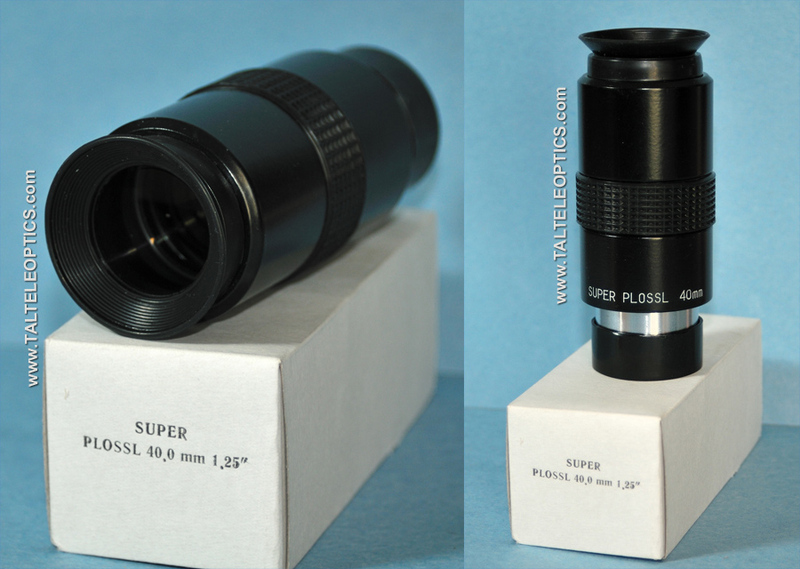 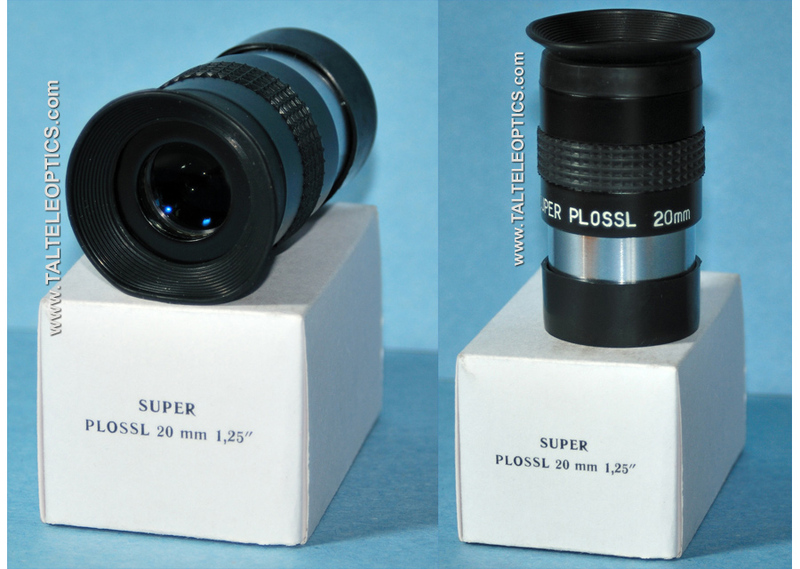 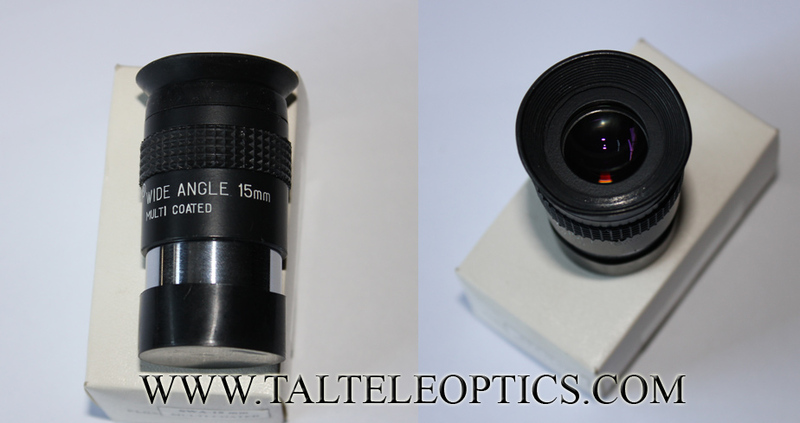 Price listed is for single eyepiece. 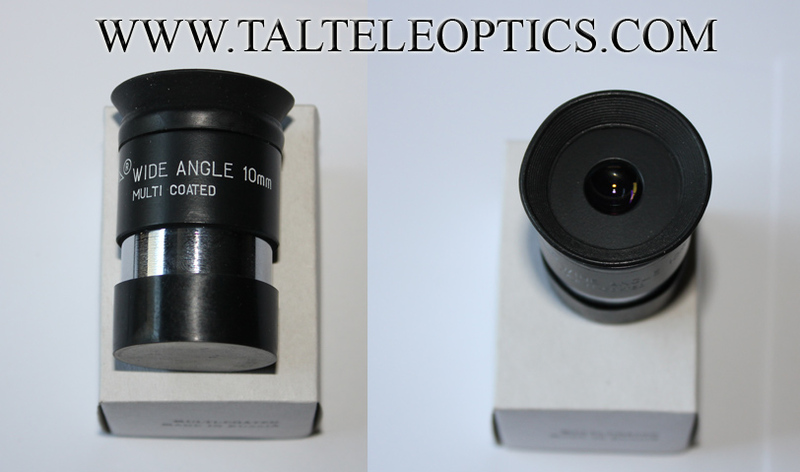 1.25" TAL Super Wide Angle 65 Degrees FOV are made of 6 elements, are Par focal and come with a soft rubber eyecup and bottom cap. 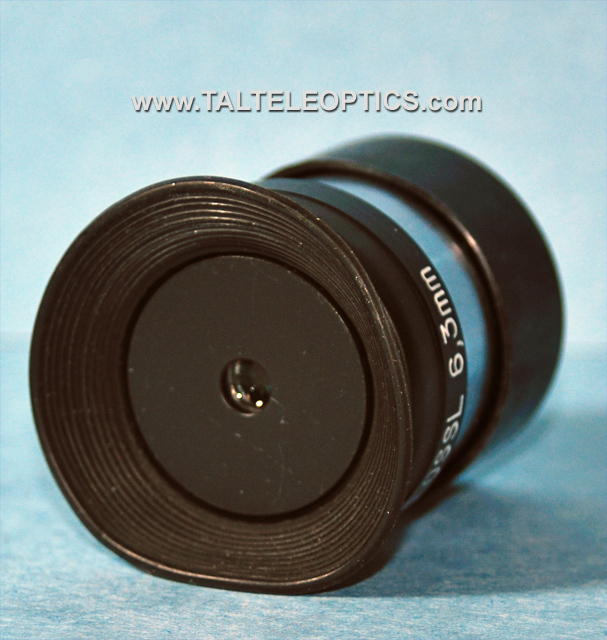 1.25" and 2" Ultra Wide Angle 82 Degrees FOV come with a soft rubber eyecup and bottom cap. 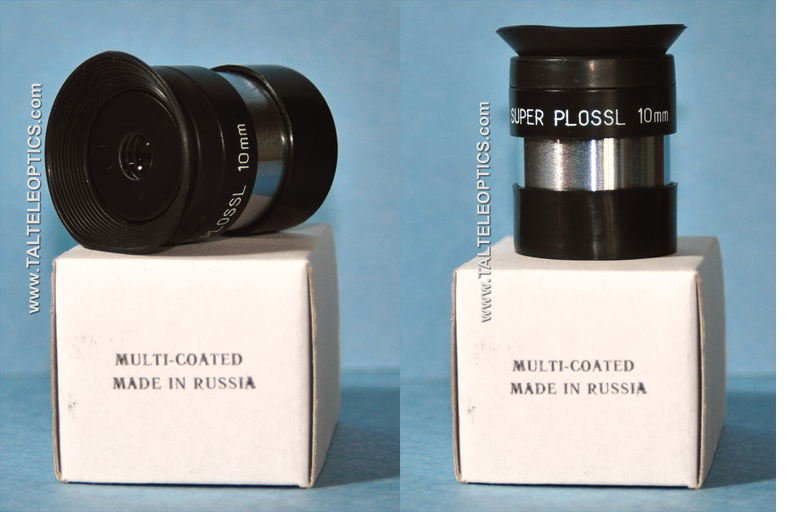 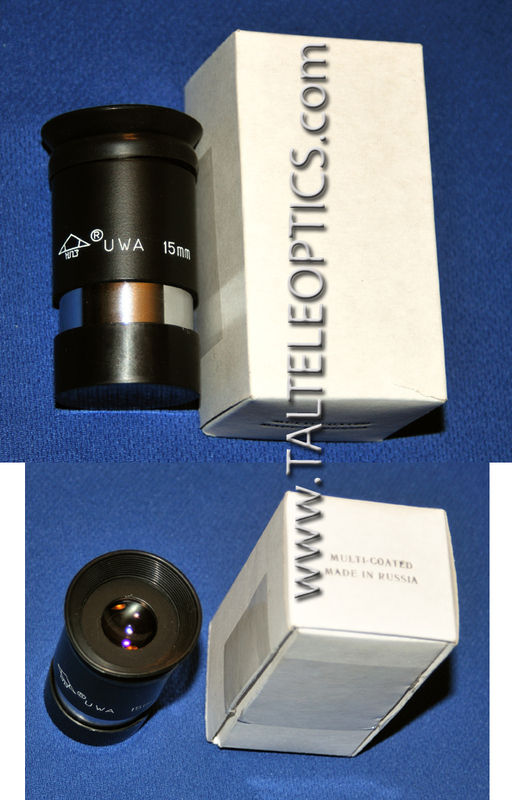 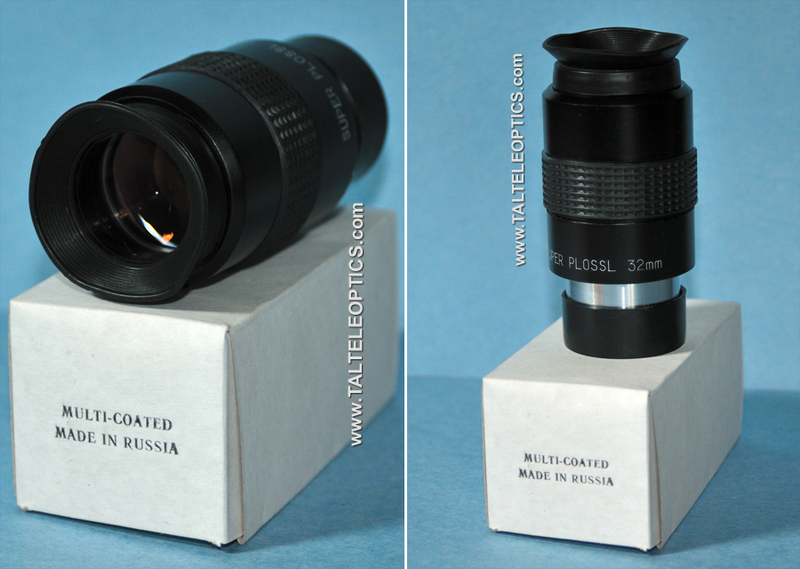 1.25" Guiding Eyepiece comes with a red illuminator and bottom cap.